Feb. 11 boys’ basketball recaps. 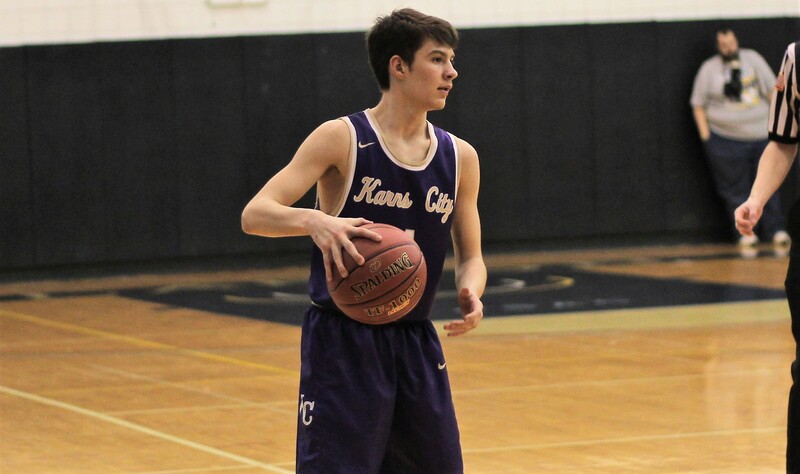 LEECHBURG, Pa. – Chase Beighley’s driving layup with three seconds to play gave visiting Karns City a 52-51 win over Leechburg. The Gremlins trailed by seven, 27-20, at halftime and by six, 42-36, going to the fourth quarter before rallying for the win. Austin Fahlor and Nathan Waltman each scored seven points in the fourth-quarter comeback. Waltman finished with 19 points and 13 rebounds with Fahlor adding 11 points, eight rebounds and six assists. Beighley finished with 15 tallies. John Miskins and Connor McDermott led a balanced Leechburg attack with 13 points each. Jake Blumer added 11 tallies and Dylan Cook 10. EMPORIUM, Pa. – Jake Walters had a double-double of 17 points and 11 rebounds to help Cameron County knock off visiting Northern Potter, 88-38, in NTL play. Caden Beldin and Dino Brown led the Red Raiders with 19 points each with Marcus Brown adding 18 tallies and Matt Swartz 12 on four 3-pointers. Cameron County shared the basketball with 27 assists on 33 made shots. Carter Anderson led Northern Potter with 17 points. DUKE CENTER, Pa. – Smethport was 23 of 29 from the free-throw line on its way to a 56-45 road win over Otto-Eldred in NTL action. Caleb Lutz was 17 of 20 from the line on his way to a game-high 22 points for the Hubbers. Conner Alfieri added a 6 of 6 performance from the charity stripe and scored 18 points. Gavin Jimerson paced Otto-Eldred with 11 points, Cole Sebastian added 10 and Jake Merry nine. BROOKVILLE, Pa. – Behind 19 points from Aaron Park Brookville beat visiting Redbank Valley, 62-35. HADLEY, Pa. – Jared Mink scored 22 points and Commodore Perry held off a late Cranberry rally for a 61-55 win. The Panthers led 46-31 going to the fourth quarter before Cranberry outscored the home team, 24-15, in the final eight minutes to make things close. Nathan Stringert added 12 points for Commodore Perry with Keane Cropp chipping in 11. Cameron Russell had a career-high 23 points for Cranberry. JT Stahlman added 11 tallies and Zac Kiefer had 10.